Architectural design is becoming increasingly important as issues related to the environment and densely populated areas grow, according to Martha Thorne, executive director of Pritzker Architecture Prize, and Korean architect Park Jin-hee. 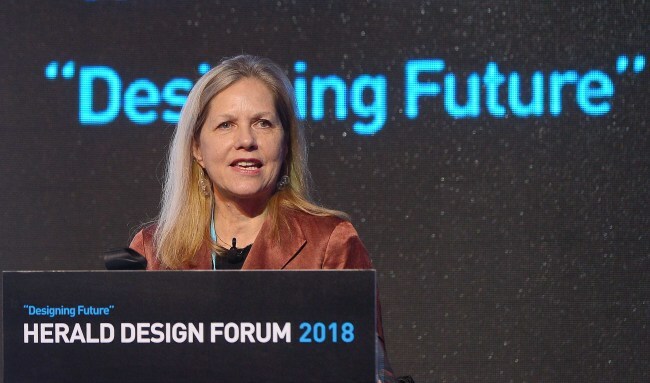 Speaking at a session titled “What Now, How Now and Who Now” on the second day of the Herald Design Forum 2018 at Dongdaemun Design Center on Saturday, Thorne talked about the changes and challenges that have been brought upon the architects, as well as the major issues that architects will have to counter in the future. Thorne said that architects today are sidelined, compared to the past. The relationship between architects and clients have been weakened and the fact that 75 percent of buildings in the United States are not designed by architects is proof of this, Thorne says. Architects in contemporary societies must reinvent their role, Thorne continued. If architecture in the past had largely focused on built work and the quality of architectural design, they now should expand their role to counter the various problems that have arisen from issues like global warming, immigration and rapid urbanization. Thorne emphasized that the role of architects was important because a built work, the physical presence it has in our environment, is significant. Thorne also introduced several noteworthy on-going architectural practices in the world, including works by architecture and design collective Assemble, Chilean Alejandro Aravena, Japanese Shigeru Ban, MASS Design Group and others. 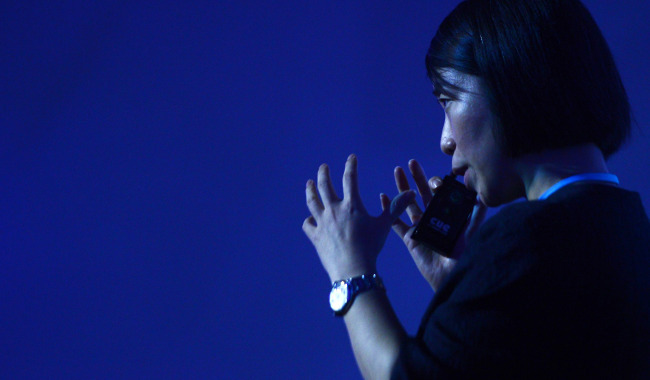 Thorne’s lecture was followed by Park’s introduction of her past and current projects, including the Songpa Micro Housing project, and a 2014 work introduced at the Korean Pavilion of the 15th Venice Biennale in 2016 called “The Far Game.” Through introducing her projects, Park offered examples of efficient use of space in densely populated urban areas. “In terms of the Pritzker Prize, why there are so many Japanese winners and no Korean has less to do with individual architects and their talents,” Thorne said in response to a question from the audience regarding why no Korean architects has yet won the prize, while several Japanese architects have won the prestigious prize, often liken to the Nobel prize of architecture. Thorne said that it has been largely due to accessibility. According to Thorne, Japanese architecture has well-established research and publications that can be accessed by the people in the West. In addition, Japanese architecture has unique aesthetics -- an architectural language -- that can appeal to Western viewers, Thorne explained. 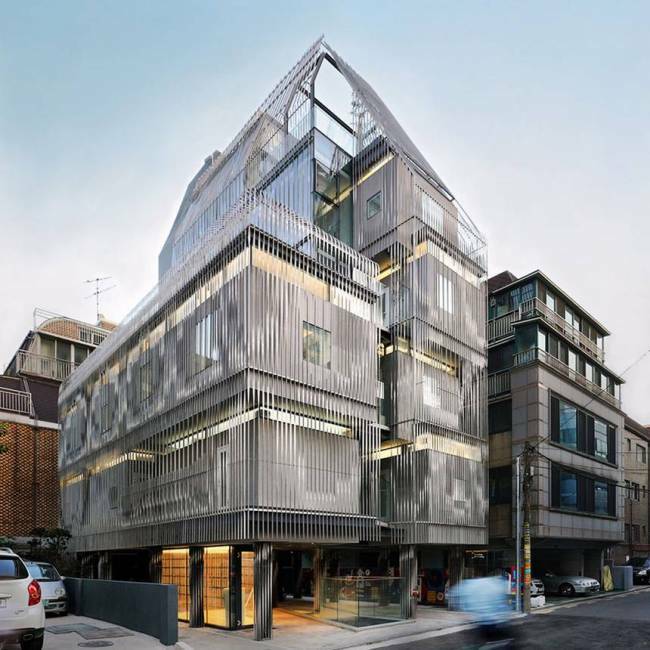 “In the case of Korea, it has not been about the lack of talent of architects,” Thorne clarified, while mentioning that it will be her job to have the prize juries informed about the works worth notice.